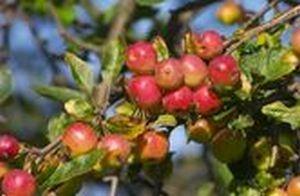 Red Sentinel - Crab Apple Tree £12.75 - Pollinator Apples - Crabapple Apple Trees and Fruit Trees For Sale. Buy at competitive prices with wholesale discounts. Red crab apples that are useful for christmas decorations, good also for crab apple jelly.